The zoo has water bottle refilling stations throughout its grounds. There are two types of refilling stations: free standing, green fountains and silver, chilled fountains attached to walls, made possible by a partnership with Texas Plumbing Supply. These fountains are easily recognizable by the “Save Sea Turtles Here” signs. 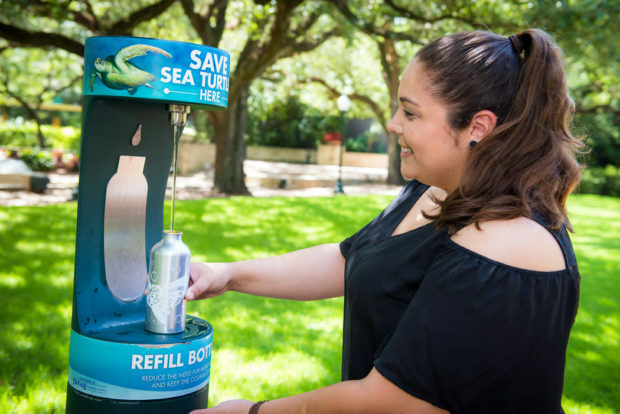 Using reusable water bottles and refilling them at these stations helps save sea turtles in the wild by keeping this waste out of the ocean. 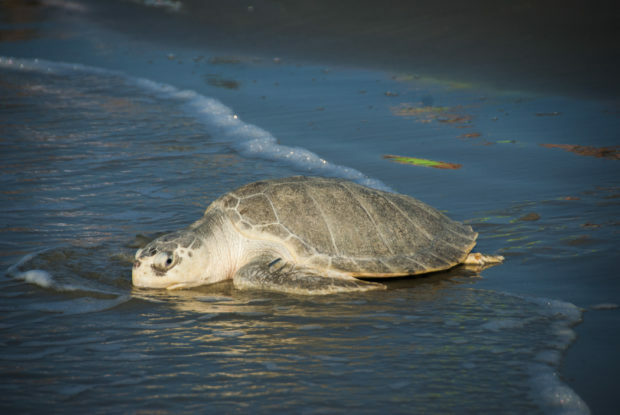 Plastic bottles and bags can make their way to Houston’s waterways and end up in the ocean, home to animals like sea turtles, sting rays, sharks, and an array of fish.